Everyone's talking about journalism, how it is changing, and where its future lies. 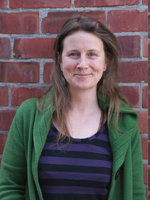 We asked Emma Johnson about the upcoming Freerange Press publication Don't Dream It's Over: Reimagining Journalism in Aotearoa New Zealand. This multi-author title includes contributions from Peter Arnett, Brent Edwards, Mihingarangi Forbes, Simon Wilson, Naomi Arnold, Toby Morris, Paula Penfold, Nicky Hager, Morgan Godfery and Beck Eleven. Freerange is crowdfunding to get the book printed, and you can contribute until 2 July. 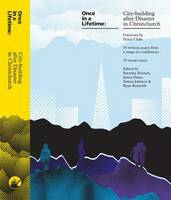 The book will be launched at the WORD Christchurch Writers and Readers Festival 25 to 28 August. There is also a panel discussion on Reimagining Journalism. Tell me about yourself and your role at Freerange Press. Freerange Press is a small cooperative, which means that I get to wear many hats, though my main role is that of editor. As I love books, languages, reading and writing, working as the editor is my favourite part of the job. This entails working with people’s words on several levels: the big picture stuff (a cohesive book or well-structured essay that facilitates the reader’s experience) through to the small, finicky details such as apostrophes and the right choice of word. I also project manage the books through to publication, deal with all of the various contributors (from designers through to sponsors), organise events, do media, sales and admin. Was there a lightbulb moment that led to Don’t dream it’s over? After the release of our last multi-author book Once in a Lifetime: City-building after Disaster in Christchurch, Giovanni Tiso (who is one of the other editors for Don’t Dream It’s Over) attended a conference on journalism and came to us with the idea that a similar approach to Once in a Lifetime - where different voices and perspectives are presented on an important topic in a single book - was needed to look at the challenges and opportunities facing journalism. We all agreed! What do you see as the core purpose of journalism? For me, journalism’s core purpose is keeping the public informed – through gathering news, the subsequent analysis of that news and bringing important stories or elements of culture into the public sphere. An informed public is essential to an effective democracy and to the notion of consent being attributed to decisions made by those in government. You’ve got a stellar lineup of contributors – how do you about getting these people on board and managing such a large bunch of writers? It was a combination of a public call-out and approaching people we really wanted to have on the book. Sarah Illingworth and Giovanni Tiso both work in journalism circles, so they had some really good ideas regarding potential contributors. Barnaby Bennett and myself also brainstormed. Then we explained the project and approached people – many signed on. I think that the number of them indicates the need to examine journalism and the timely nature of the publication. Can you give some examples of journalism and news sites that are dealing well with the evolving media landscape – who is swimming, who is sinking? I think sites like Pantograph Punch, which has great arts and culture content, and The Spinoff have responded to the challenging times and are both producing great writing, including long reads, by fantastic contributors. I think that mainstream media and traditional outlets are struggling and the quality of their journalism overall has slipped for a number of reasons. As revenue is limited, they have let lots of experienced staff go, which has emptied out the profession (and in turn the journalism that the public has access to), so they turn to clickbait and such to garner attention amidst the noise. There is more content, but less diversity (some genres are really struggling). What IS the future of the media landscape in New Zealand? This is the question that book seeks to explore – there are many responses and points of view on this. Many of the contributors have strong ideas about where it needs to go and what it needs to do – the difficulties lie more around the ‘how’, or more specifically, how we pay for it. As a society we need to look at what we value in journalism, and seek to address these challenges. Can you tell us a bit about your Pledgeme campaign – can people still contribute? As making books in New Zealand is expensive, and as we wish to pay everyone (at least a little) for their work, we are crowdfunding to help get us over the line with our cash flow for printing. Our target is $11,500 (budget breakdown is included on our campaign page). We have lots of great rewards too. You can contribute until 2 July. Libraries are extremely important to our communities – they are reservoirs of knowledge, and the keepers of memories and the ways we express ourselves. Most importantly, they are cultural hubs that are available and open to all, for free. I have been reading the Neapolitan Novels by Elena Ferrante – such wonderful writing and translations. 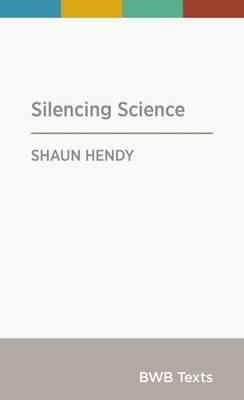 I have also just finished Silencing Science by Shaun Hendy – one of the great BWB Texts. Go to the Don't Dream it's over PledgeMe page. Find books by Freerange Press in our collection. Get a taster of the upcoming book Don't dream it's over - Read Navigating the waters of Māori broadcasting by Mihingarangi Forbes, published on the Pantograph Punch website.